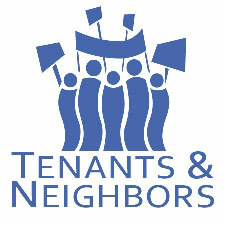 Mount Vernon United Tenants holds monthly membership meetings on the first Tuesday of each month at 7:00 PM at our office at 2 Gramatan Avenue, Room 312 in Mt. Vernon, to share information and plan future activities. Contact us at (914) 699-1114 or mvut [at] erols.com to get more information and get on our mailing list. Basic Membership dues are $20 a year. We also invite you to volunteer your time by helping in the office, joining us on local and state lobbying visits to legislators, and helping organize membership activities and campaigns in the community. MVUT is a nonprofit organization and our activities are supported by grants and individual contributions. Financial contributions of all sizes — $35, $50, $75, $100, $200, $500, $1,000 or more — are always welcome. A donation of $100 or more qualifies you as a member of our “Century Club.” We’ll engrave your name on a plaque in our office.